I love Skinny Cow ice cream sandwiches but they seem to disappear too quickly in my household. With this hack, I can make a couple dozen ice cream sandwiches for about the same price as one box of Skinny Cows. These super-simple faux ice cream sandwiches are the perfect little treat I serve up to my family after dinner. 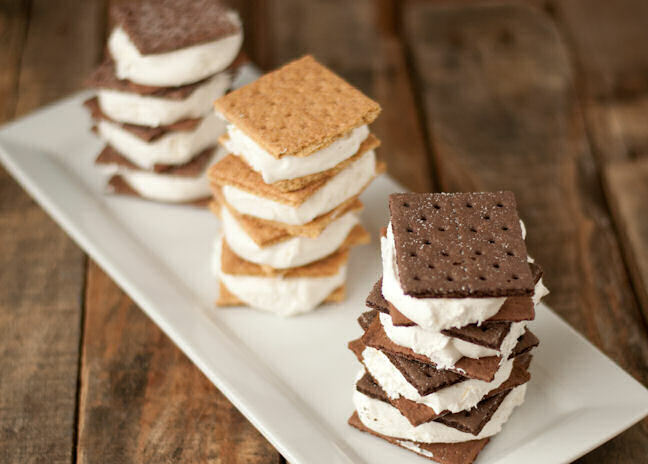 This low-calorie ice cream sandwich recipe is simple—using Cool Whip and graham crackers as a base, you can build up the intensity of flavors with extracts or spices to suit your taste and customize the flavors beyond vanilla or chocolate (my kids stick to mint or vanilla, but my favorites are cinnamon, orange, and coffee). 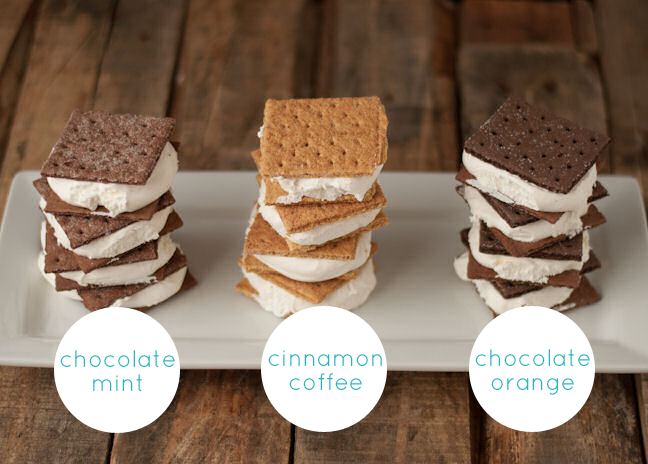 This recipe makes a few dozen ice cream sandwiches for about the same price as one box of Skinny Cows. Step 1: Prepare a pan with aluminum foil and lay out 24 cracker squares. Step 2: Add your choice of extract to the tub of Cool Whip and gently fold to incorporate. Step 4: Top each with another cracker. Step 5: Put in the freezer until frozen.